The days come and go and the winter remains. Thank you kind groundhog for predicting six more weeks of winter. If I lived in San Francisco, I would probably have this SF Neighborhood Guide of things to do, see, and eat on my wall. I have somewhat of an obsession with the blog The Well Traveled Wife and all her glorious finds. Everything looks so clean and crisp and ever so chic. I have yet to visit the Levain Bakery but apparently their chocolate chip cookies are out of this world. Ah, if only cookies fit in the food pyramid as well as kale and keifer do. Anyways, Broma Bakery has an excellent copy-cat recipe for you to recreate these bad boys in the comfort of your own home. Maybe mix up a batch for a house-warming gift or a movie night at home. These need to happen. Now. Well, maybe it would be dangerous to bake since I’ve decided to give up sweets/coffee for lent, but that doesn’t start until Wednesday. So I guess we are in the clear. On the other hand, a more mental challenge would be the 30-Day Minimalist Challenge. Declutter, break free, and just be you. Speaking of breaking free, one must really read The Healthy Maven’s latest post on accepting yourself and your body. I think we all struggle to find ourselves and find happiness with our genes. So many good points here. You go girl. Of course, when I’m not running or spinning, I am doing my best to stretch and go to yoga. Most of the days that I set out my yoga mat and clothes, I end up snoozing through my 5:45 alarm. I know that I should wake up and make the trek across town, but somehow it doesn’t have the same allure as my nice pillow. I was all into the above class because 1) it was free 2) we got free swag afterwards 3) it was with some November Project friends. 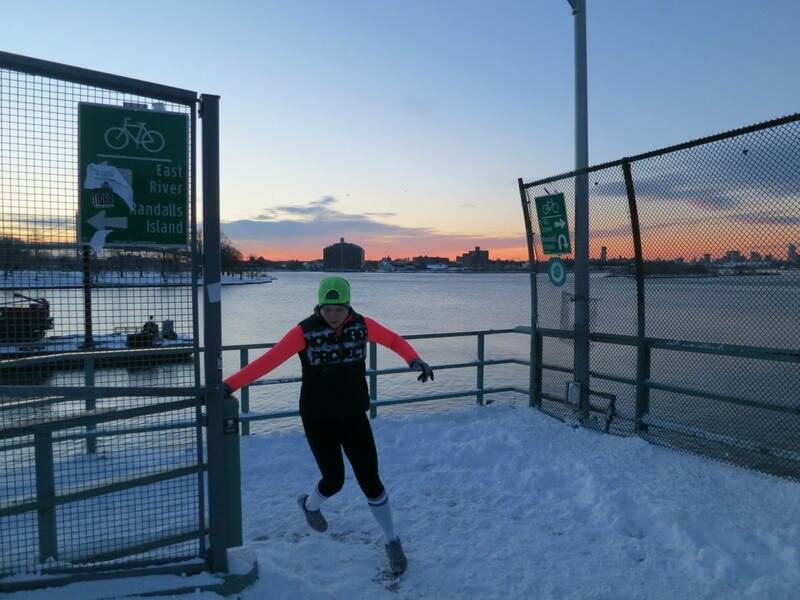 This entry was posted in Healthy Me, Life of Late, New York, Running and More, Surveys/Random and tagged baking, Central Park, Farmborough, lent, Levain Bakery, New York, November Project, running, TGIF, weekend, yoga by Kaitlin. Bookmark the permalink. That first picture made me feel like I was right back in Central Park for a winter race! Have a great weekend!